It’s A Kids’ Toy Vacuum And It Actually Works! When was the last time you had to tell your children to pick up their toys? If you have any kids in the house, it’s probably something that passes your lips on a regular basis. It isn’t only the toys, however, it’s also all of the different messes that they seem to create. We have clothing all over the floors, candy wrappers, and food crumbs. We probably have our own story of the nightmare messes that our children make and if your kids fall into that category, there is hope available on Amazon. 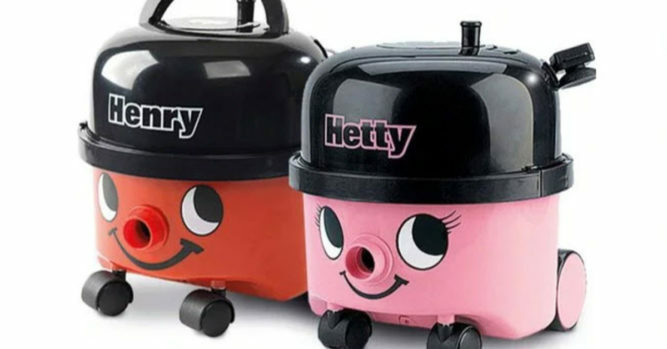 They are now making a replica Henry vacuum that is not only adorable, but it is also fully operational! 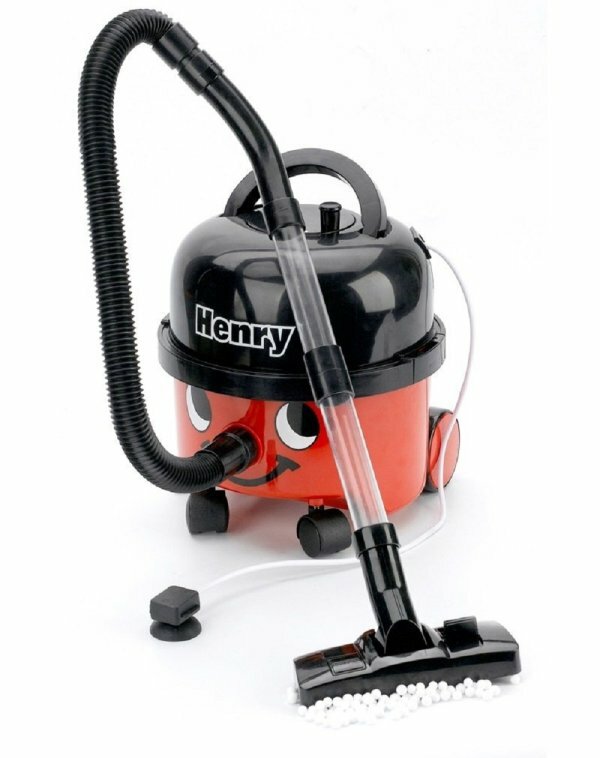 This Little Henry vacuum is a replica of the real McCoy. Your children can now enjoy cleaning the house along with you and you might be surprised with how much fun it can actually be. When was the last time your kids got up and enjoyed cleaning without you having to lift a finger? With its cheery, red face and friendly smile, it’ll become a valued member of the family in no time. 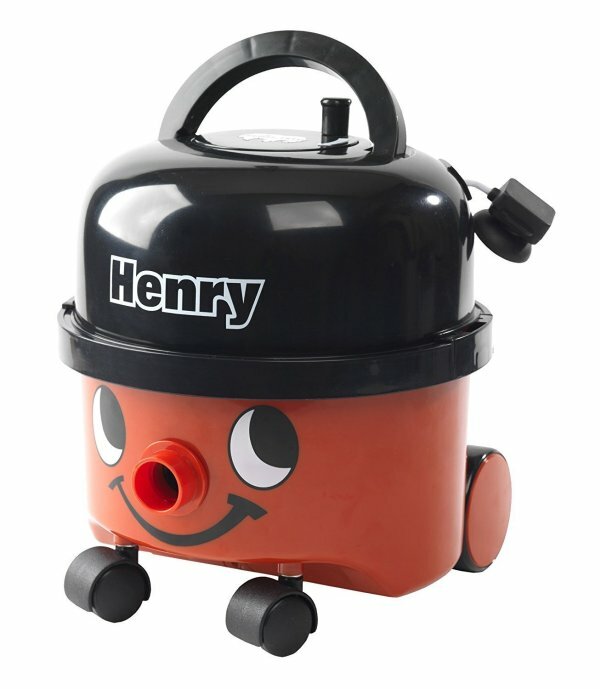 This Little Henry really works, picking up small bits of paper waste or small Poly Beads. The waste is then sucked up into a removable drawer, which is quick and simple to empty,” the description continues. Emptying the vacuum may make a bigger mess but is still nice to have some help. 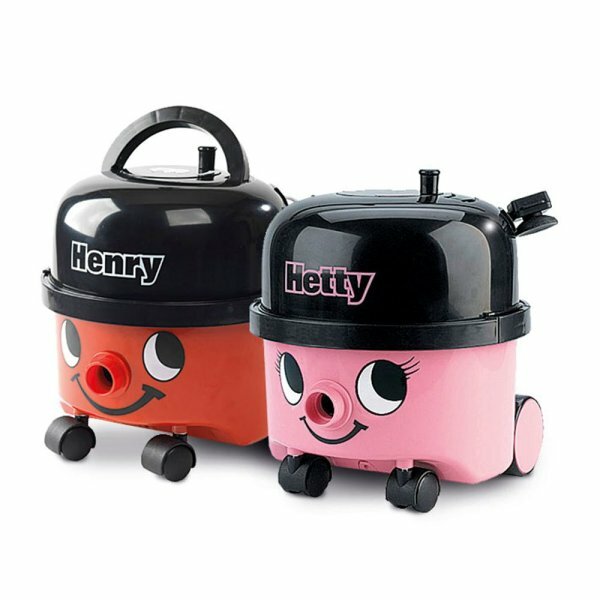 The Henry canister vacuum is sold by Numatic and it was a big hit in Europe. 6 million were sold among the several makes, including Harry, Charles, George, and Hetty. You will recognize it because there is a face on the vacuum to make you think it is fun. The cord goes back into the vacuum for handy storage and its accessories fit inside. Of course, most parents realize that the accessories will never be put away once they come out. 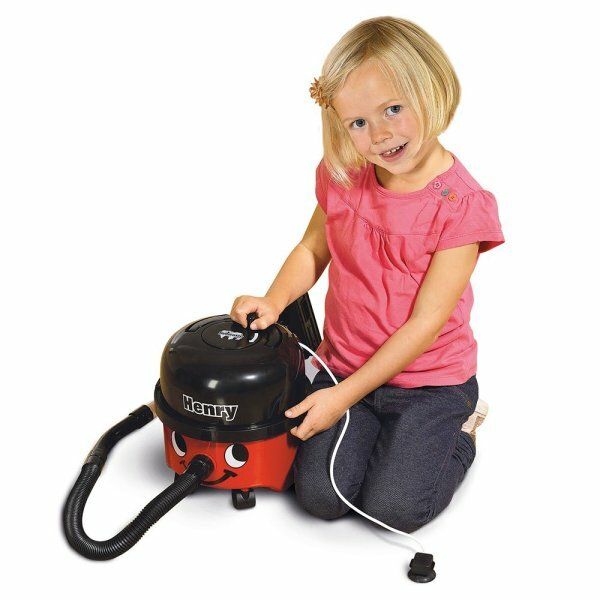 The recommendation is for children ages three and older to use this vacuum. 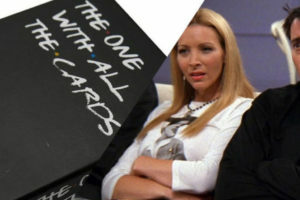 Your kids can easily pick it up because it only weighs 3 pounds and the good news is, you can buy it for $21 on Amazon! One of the most common questions that people ask on Amazon is “does it make noise”? Any kids toy that makes noise is always going to be annoying and the vacuum is noisy and it requires batteries. The good news is, it isn’t the same caliber noise as a standard vacuum cleaner. It’s a great toy with lots of fun that your kids will enjoy for a few minutes after they toss it to the side and start playing with something else. At least you give it your best shot.